With 200 producers participating over the two-day Grand Tastings by the Sea, and each producer pouring multiple Pinot Noirs, it was an impossible task to sample even half the wines. I did get the opportunity to sample wines in quiet in the Media Room as well as in the noisy tasting tents (there were 750 tickets sold for Friday’s tasting and 850 tickets sold for Saturday’s tasting). My recommendations are based on quick impressions but represent an effort to identify those wines with the most pizzazz. A number of the wines from the 2010 vintage have not been released. 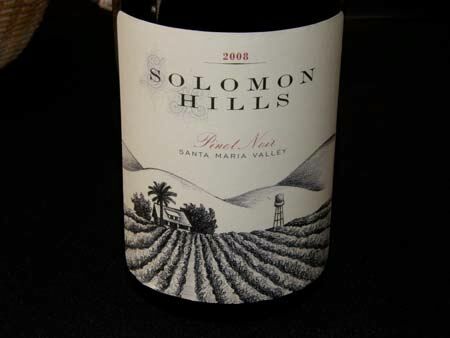 2008 Bien Nacido Vineyards Solomon Hills Vineyard Santa Maria Valley Pinot Noir 14.5% alc., 150 cases, $57. Bien Nacido Vineyards produces two Pinot Noirs in each vintage, one from Bien Nacido Vineyards and one from Solomon Hills Vineyards. Trey Fletcher, who trained at Littorai, was appointed winemaker in 2011. Visit www.biennacidovineyards.com. 2010 Bruliam Wines Deer Meadows Vineyard Anderson Valley Pinot Noir 13.7% alc., $46. 2010 Bruliam Wines Sobranes Vineyard Santa Lucia Highlands Pinot Noir 14.3% alc., $46. 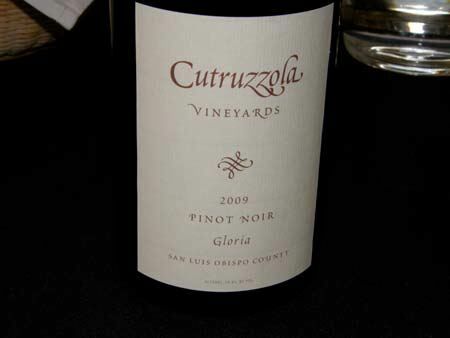 2009 Cutruzzola Vineyards Gloria San Luis Obispo Pinot Noir 14.0% alc., $36. Located in a coastal valley just outside the town of Cambria on California’s Central Coast, this producer is a new find for me. 5 acres are planted to Pinot Noir. Proprietor is Francis Cutruzzola and the winemaker is Stephen Dooley of Stephen Ross Wine Cellars. A lighter style of Pinot Noir but packed with flavors of dark red berries and baking spice with gossamer tannins. Visit www.cutruzzolavineyards.com. 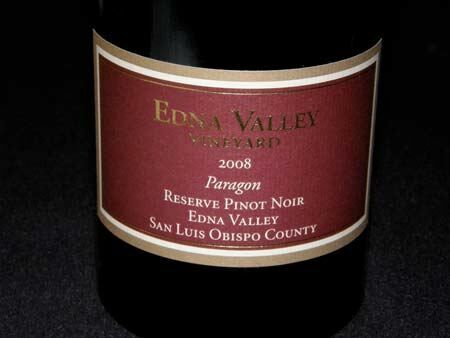 2008 Edna Valley Vineyard Paragon Reserve Edna Valley San Luis Obispo Pinot Noir Medium weight flavors of darker stone and berry fruit with reserved tannins and a velvety mouth feel. A delicious wine with impeccable balance. Visit www.ednavalleyvineyards.com. 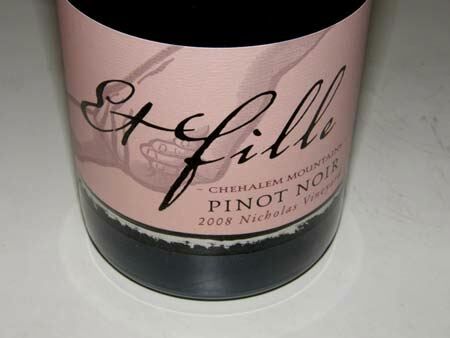 2008 Et Fille Nicholas Vineyard Chehalem Mountains Oregon Pinot Noir 13.7% alc., 172 cases, $34. 2009 Et Fille Kalita Vineyard Yamhill-Carlton District Oregon Pinot Noir 14.3% alc., 220 cases, $38. I had met Father Howard, but had not had the pleasure of interacting with his daughter and partner, Jessica. The name “Et Fille” means “and daughter.” Father and daughter are both delightful people who have a passion for Pinot Noir and craft outstanding wines. I have been a fan for several years. Visit www.etfillewines.com. 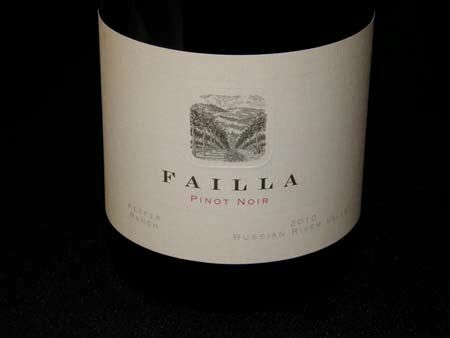 2010 Failla Wines Keefer Ranch Vineyard Green Valley of Russian River Valley Pinot Noir 13.9% alc. 700 cases. From winemaker Ehren Jordan. Very attractive aromas of red fruit, spice and BBQ with a juicy core of fresh red cherry and berry flavors. Still sporting some oak notes which will integrate over time. Visit www.faillawines.com. 2010 Felton Road Bannockburn Central Otago New Zealand Pinot Noir 14.0% alc., $40. A biodynamic estate producing Pinot Noir, Chardonnay and Riesling. The Pinot Noirs (there are five releases in 2010) are among the most complex produced in New Zealand. The 2010 Block 3 was previously reviewed by me with high accolades. Visit www.feltonroad.com. 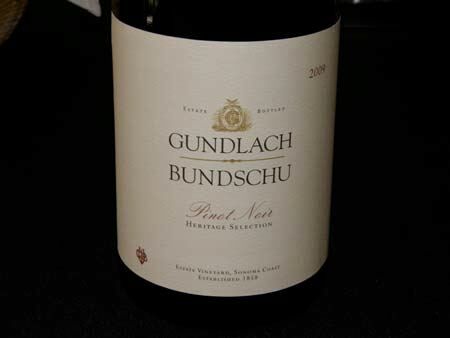 2009 Gundlach Bundschu Winery Heritage Selection Estate Vineyard Sonoma Coast Pinot Noir 14.1% alc.. A limited bottling available only to wine club members. 30-year-old vines. A serious connoisseur's wine that is built for aging. Complex with impeccable balance. Watch a hilarious video, “A Brief History of Merlot,” at www.gunbun.com/merlot. 2010 Gypsy Canyon Winery Estate “Trois” Sta. Rita Hills Pinot Noir $90. Debuted at the WOPN. Like the “Trois” from 2008 and 2009, this is an elegant wine with beautiful spice and sandalwood notes. NV Gypsy Canyon Winery Ancient Vine Angelica 17% alc, $130 (375 ml). A fortified dessert wine made from Mission grapes from 100+-year-old vines at the estate Dona Marcelina’s Vineyard. This most recent release was aged in oak giving it added interest and backbone. A stunning and truly unique wine that belies its 17% alcohol and delivers caramel, nutty flavors with no perceptible sweetness. Very limited production. 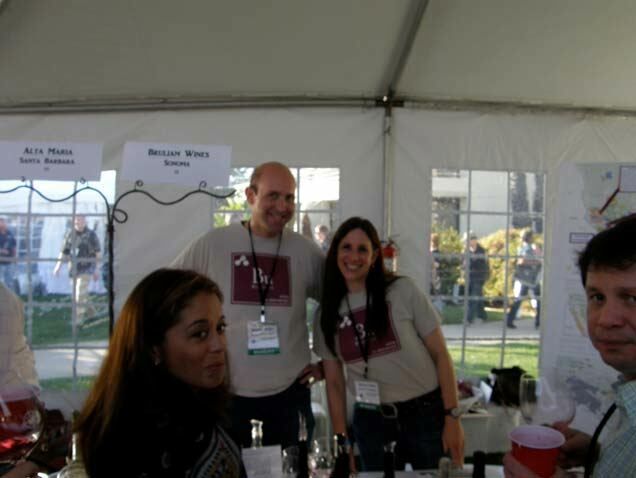 I hate to admit it, but this was the best wine I tasted all weekend at WOPN. Visit www.gypsycanyon.com. 2009 Hartford Court Fog Dance Vineyards Green Valley of Russian River Valley Pinot Noir $60. From an organically farmed estate vineyard planted in 1996 to primarily Dijon clones 667 and 777. Very exotic, citrusdriven, and savory, with a substantial core of earth-kissed black cherries. 2009 Hartford Court Arrendell Vineyard Russian River Valley Pinot Noir $85. A very special wine from a very cold site in the Green Valley of the Russian River Valley. It has been called the “Snow Shoe Vineyard” because in wet years the vineyard crew has to wear snowshoes to get through some of the muddy rows. The plantings of low-yielding Martini clone are over 45 years of age. The most expensive wine in the Hartford Court lineup, but a wine of great character that is consistently worth the fare. Jeff Stewart replaced Jeff Mangahas (who moved on to a position as winemaker at Williams Selyem) as winemaker in 2011, bringing him back to the winery site (then known as Laurier Winery) where many years ago he was an assistant to Merry Edwards. Visit www.hartfordwines.com. 2010 Heart & Hands Wine Company Polarity Finger Lakes New York White Pinot Noir Owner and winemaker Tom Higgins wanted a white wine besides Riesling to compliment his Pinot Noirs so he produced this very unique white version of Pinot Noir. Visit www.heartandhandswine.com. 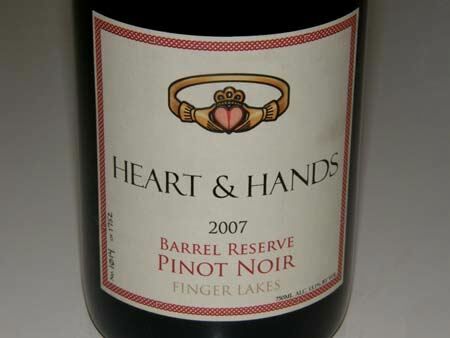 2008 Heart & Hands Wine Company Barrel Reserve Finger Lakes New York Pinot Noir 195 cases, $39.99. 100% whole cluster, aged 18 months in 38% new French oak barrels. A superb wine from very cool vineyards. 2009 Heart & Hands Wine Company Barrel Reserve Finger Lakes New York Pinot Noir 100% whole cluster, 20 months in barrel. A superb, spicy delight. 2009 J Vineyards & Winery Russian River Valley Pinot Noir 14.4% alc., $35. A solid, well-priced appellation wine with a very expressive nose, offering well-spiced dark cherry flavor and some length on the finish. Visit www.jwine.com. 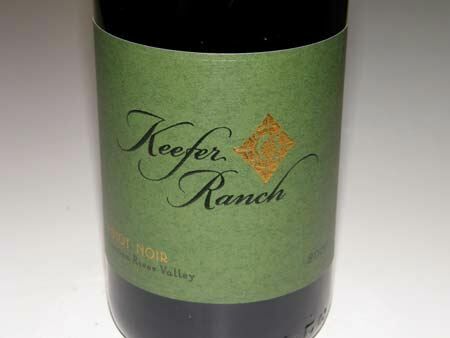 2009 Keefer Ranch Keefer Ranch Vineyard Green Valley of Russian River Valley Pinot Noir 14.2% alc., 220 cases, $42. Winemaker Craig Stehlow makes one Pinot Noir from Mary Keefer’s vineyard and it is of high quality in every vintage. This vintage is sold out so get on the mailing list for future offerings. Grapes are sold to several other notable California producers and their wines from this special vineyard shine as well. Visit www.keeferranch.com. 2009 Ken Brown Wines Sta. Rita Hills Pinot Noir 14.6% alc., 409 cases, $38. Ken Brown has been crafting Santa Barbara County wine since 1977. His 2009 releases sport a new, improved label. 50% Clos Pepe Vineyard, 40% Rio Vista Vineyard, and 10% Rancho La Vina Vineyard. An exceptional appellation bottling which veers to the ripe side but never crosses over the line. 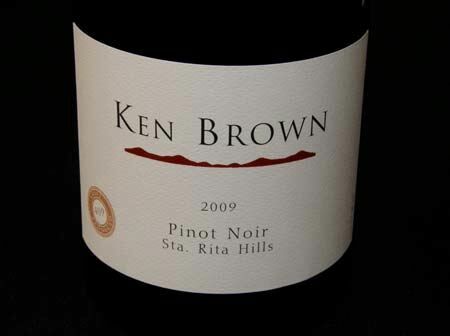 Very smooth on the palate and ready to drink now, this wine will appeal to lovers of the robust, luscious style of Pinot Noir that Ken Brown is known for. Magnums available. Visit www.kenbrownwines.com. 2009 La Rochelle Winery Donum Estate Vineyard Carneros Pinot Noir Prerelease tasting at WOPN. The first bottling I have seen from a winery sourcing Donum Estate grapes. Spectacular! 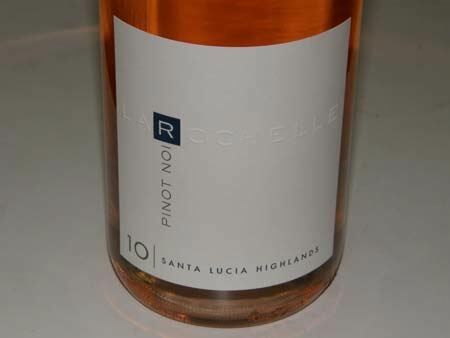 2011 La Rochelle Winery Pinot Noir Rosé 119 cases, $24. One of the best Pinot Noir Rosés produced in California. This winery is located in Livermore but sources grapes from appellations throughout the state. Visit www.lrwine.com. 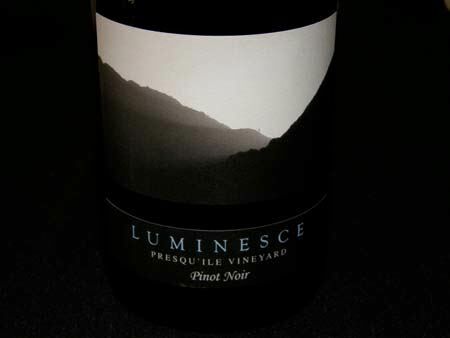 2010 Luminesce Presqu’ile Vineyard Santa Maria Valley Pinot Noir 13.4% alc.. From a young vineyard planted in 2008 and 2009. Clone 777. First harvest for Luminesce from this vineyard. Luminesce is a new find for me. Owner and winemaker is Kevin Law. They have been producing wines since 2006 with an emphasis on Arroyo Grande and Santa Maria Valley vineyards. Very little new oak is used in the wines which are bottled unfined and unfiltered. The Pinot Noirs are typically aged for 11.5 months in barrel and then aged in bottle 12 months before release. This wine was one of the top Pinot Noirs I tasted at the WOPN. Everything is in place with fragrant aromas of fresh berry mash and a full-flavored core of juicy fruit unencumbered by oak. The balance in this wine really impressed me. Visit www.luminescewine.com. 2009 Melville Winery Estate Sta. Rita Hills Pinot Noir $32. A collection of 16 Pinot Noir clones. 33% whole cluster, aged in neutral oak. Well-structured with an appealing aromatic profile of dark cherries and berries with a citrus and floral underpinning. Chad Melville told me that the winery chose to discontinue the use of new oak in their barrel aging program for Pinot Noir beginning in 2008. 2010 Melville Winery Carrie’s Sta. Rita Hills Pinot Noir ($52) is still very young and sporting some vegetal undertones from whole cluster inclusion (60%) that may improve over time. Visit www.melvillewinery.com. 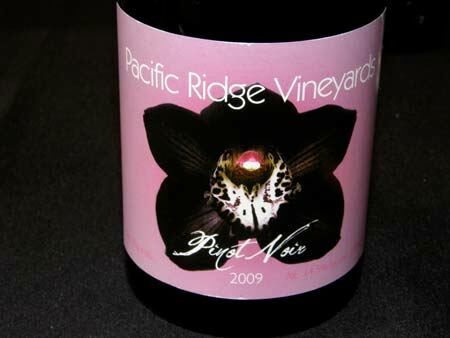 2009 Pacific Ridge Vineyards “Lavender” Sta. Rita Hills Pinot Noir 14.5% alc., 77 cases. $42. Pommard clone from La Encantada Vineyard. De-stemmed, aged 20 months in French oak barrels. This wine was flatout great and one of the best I sampled at the WOPN. Bright dark berry driven aromas with a delicious core of luscious dark stone fruits and berries. Very soft in the mouth and easy to drink with impeccable balance. 2009 Pacific Ridge Vineyards “Sevens” Sta. Rita Hills Pinot Noir $40. 100% clone 777 from La Encantada Vineyard. I am not usually a fan of single-clone Pinot Noir but this wine has an appealing delicacy and charm. 2009 Pacific Ridge Vineyards “Kathy’s Cuvee” Sta. Rita Hills Pinot Noir <100 cases, $48. Clone 115 from an unidentified vineyard just off Highway 246. Very complex and spicy with an interesting eucalyptus note. Retired Navy fighter pilot Bob Kelly has been crafting wine for several years in Santa Barbara County. This winery was a new find and a revelation for me. Visit the tasting room at the flagpole in the center of Los Olivos or www.pacificridgevineyards.com. 2010 Paul Lato Wines “Lancelot” Pisoni Vineyard Santa Lucia Highlands Pinot Noir $85. Paul offered his 2010 vintage lineup this past week to mailing list customers. This wine is still relatively closed after recent bottling, but the potential is obvious. Paul Lato has built his business slowly and carefully, and his wines are in great demand (the offering of 2010 Pinot Noirs and Chardonnays recently sold out in one week). I believe the mailing list is full, but you can obtain the wines in the secondary retail market. Visit www.paullatowines.com. I will taste the 2010 vintage wines in May at the winery and give a full report. 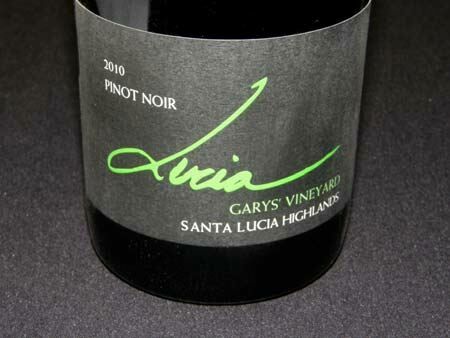 2010 Pisoni Vineyards & Winery Lucia Garys’ Vineyard Santa Lucia Highlands Pinot Noir 14.4% alc., $50. Lucia is the sister label of Pisoni launched in 2000 by winemaker Jeff Pisoni and vineyardist Mark Pisoni. A spectacular offering that is highly aromatic and filled with delicious dark red and black berry flavor. Seductively smooth on the palate with soft tannins and surprisingly forward drink ability. You should have this wine in your cellar. Magnums available. Visit www.luciavineyards.com. 2010 R2 (R Squared) Wine Co. Black Pine California Pinot Noir 14.4% alc., $26. A blend of Pinot Noir sourced from several vineyards in California including Carneros, Russian River Valley, Sonoma Coast, Anderson Valley and Sta. Rita Hills. A new project from the previous owners of Roessler Cellars. The winemaker is the talented Byron Kosuge. A very good value. Visit www.r2winecompany.com. 2009 RN Estate Kruse Vineyard Paso Robles Pinot Noir $48. Clones 115, 667, 2A and Pommard. Aged 13 months in 45% new French oak barrels. 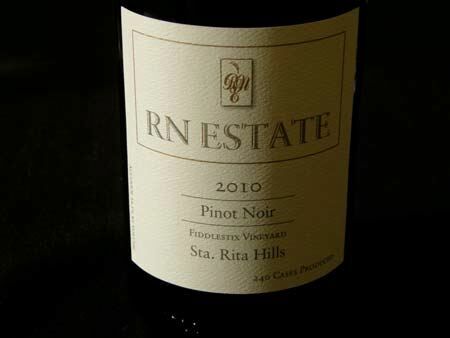 Continuing the tradition of elegant food friendly RN Estate wines, this Pinot Noir has impressive finesse to compliment the full-flavored core of dark red fruits. Strikingly flavorful. 2010 RN Estate Fiddlestix Vineyard Sta. Rita Hills Pinot Noir 14.5% alc., 240 cases, unreleased. Very young but showing great potential. Still plenty of oak on board but the sweet, luscious dark fruit core is complimented by well-managed tannins. Visit www.rnestate.com. 2009 Seagrape Wine Company “Jump Up” Sta. Rita Hills Pinot Noir75 cases, $32. From Karen Steinwachs, the winemaker at Buttonwood Farm Winery in the Santa Ynez Valley. A blend of Hibbits Ranch Vineyard and Huber Vineyard. A bit exotic. Visit www.seagrapewineco.com. 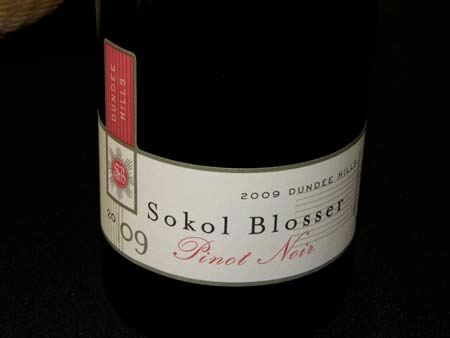 2009 Sokol Blosser Winery Dundee Hills Willamette Valley Pinot Noir 14.0% alc., $38. Sokol Blosser farms 85 certified organic acres and is one of the pioneering wineries of the region. Moderately rich, showing bright, spiced dark red berry fruits on the nose and palate, wrapped in well-proportioned tannins. Fresh and uplifting. Available in magnums ($76). Visit www.sokolblosser.com. 2010 Zotovich Estate Sta. Rita Hills Pinot Noir Prerelease sampling, bottled only two weeks before WOPN. Surprisingly fresh, open and appealing this soon after bottling. Ryan Zotovich, a former cellar master at Sea Smoke, is crafting some exciting Pinot Noir from this vineyard. Zotovich Cellars is a family affair focusing on Pinot Noir, Chardonnay, Syrah and Viognier. Visit www.zotovichcellars.com.